Alia Bhatt and Sidharth Malhotra photographed together. Rumoured couple Alia Bhatt and Sidharth Malhotra will again share the screen space but, this time not as Karan Johar's students but in a sequel to Alia's father Mahesh Bhatt's film Sadak. Actors Sanjay Dutt and Pooja Bhatt will reprise their roles in Sadak 2, which is a sequel to their 1991 hit film Sadak while Alia and Sidharth are the new additions to the series. A source told mid-day: "Earlier, there were speculations that Sidharth and Alia are doing Mohit Suri's next directorial project, Aashiqui 3, but the film has been put on hold. Instead, Vishesh Films has cast them for Sadak 2. While the film's director is yet to be finalised, they want to finish the casting process so that the film can go on floors soon." Well, this news will definitely delight Alia-Sidharth fans, who have been waiting to see the pair on-screen together after Student Of The Year. 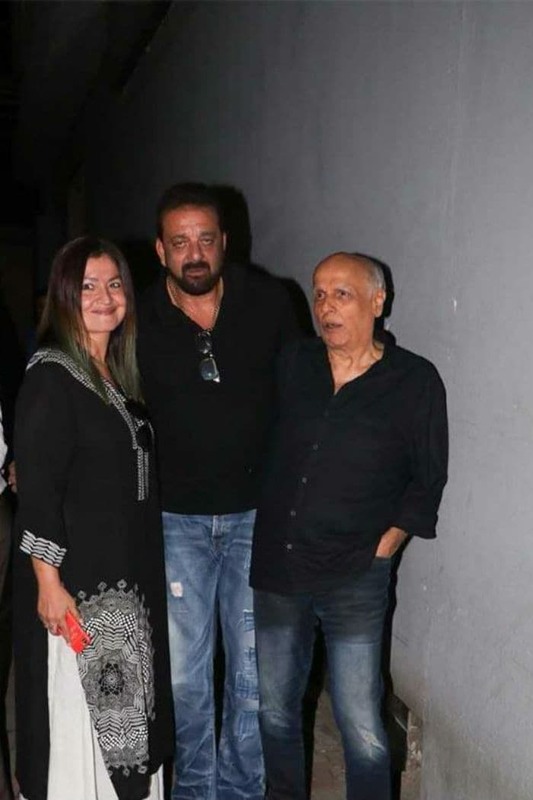 Recently, Sanjay Dutt was also spotted with Mahesh and Pooja Bhatt. The trio seem excited to work again after their blockbuster hit Sadak. Earlier, Pooja Bhatt told news agency IANS thatSadak 2 will be based on the topic of depression. She said: "We are making Sadak 2, in which we are showing Sanjay Dutt in his true and present time. We are dealing with issue of depression in that film." Recently, photos of Sidharth and Alia together gave the Internet one more chance to revive dating rumours about the stars. Sidharth and Alia have been reported to be dating since they made their debut together in 2012. Meanwhile, Alia is currently busy filming Meghna Gulzar's Raazi. She also has Ayan Mukerji's Brahmastra lined up for 2019 while Sidharth's latest film Ittefaq, co-starring Sonakshi Sinha released this Friday and has received a good response so far. Sidharth will also star in Aiyaary.